With a little bit of patience macro photography can be fun! Most pollinating insects are too busy to notice me getting close to them. I usually pick a flower, pre-focus and wait for bugs to come to it. When following insects such as butterflies, I never cast my shadow over them because they’ll fly away. Point and shoot cameras are perfect for photographing insects close-up. Look for the macro setting (usually a flower symbol) on your camera. Colorful macro photograph close up of a Honey Bee (Apis), and red chrysanthemum flower with bright yellow center. 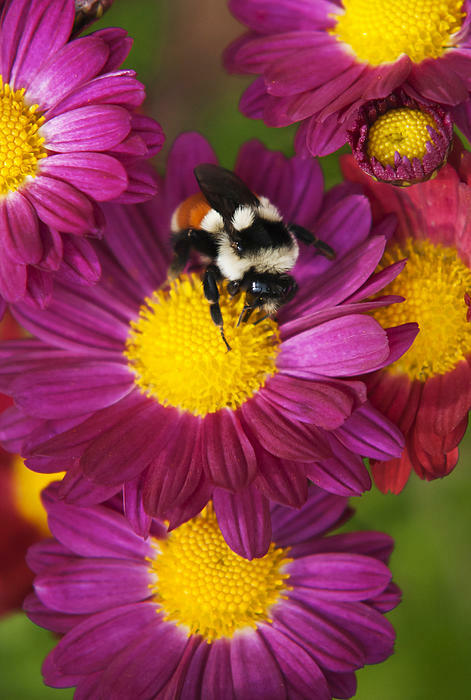 Macro photograph showing fine detail of a Red-Tailed Bumble (Bombus lapidarius), on pink and red chrysanthemum flowers with bright yellow centers, against green background. Red-tailed Bumble Bees seem few and far between so seeing one is always a treat! Subscribe to my e-mail list to get instant updates, it’s free. Search: nature, animals, insects, bees, macro photography, green, gold, outdoors, framed art, rollosphotos. Do you pay attention to details? One of the things I enjoy most about macro photography and nature abstracts is that it forces me to stop and observe. This Sedum was growing in my garden. I walked by it a hundred times before I stopped to appreciate it. 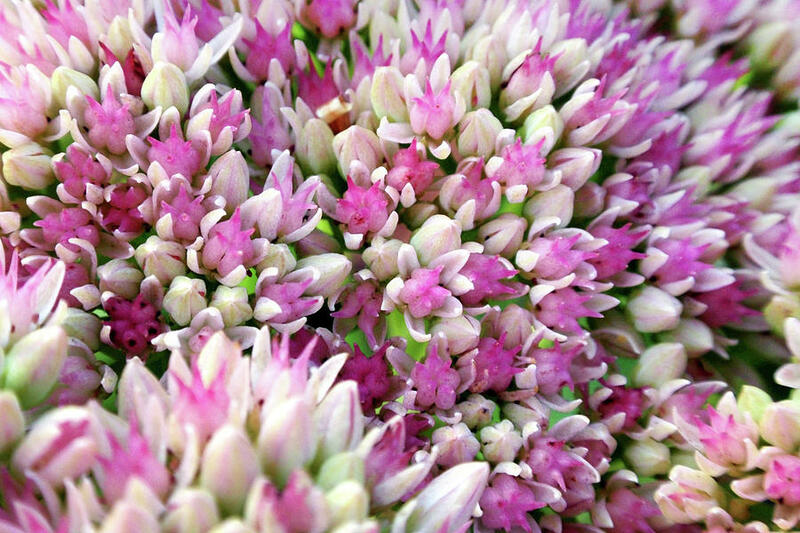 This beautiful pink sedum nature abstract shows fine intricate details. Sedum is a flowering plant, also known as Spreading Stonecrop. The flower petals within the cluster of a sunflower are usually in a spiral pattern. Geometric perfection, each floret is consecutively angled toward the next, creating a beautiful pattern of spirals. A sunflower contains the most efficient packing of seeds in a flower head. 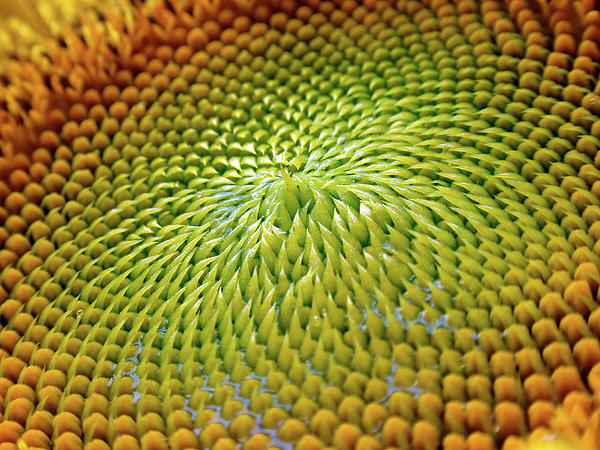 This macro photograph of a giant yellow sunflower center shows fine details of the seed spiral. Often times I find myself noticing a colorful reflection before I notice the flow or nature to a body of water. 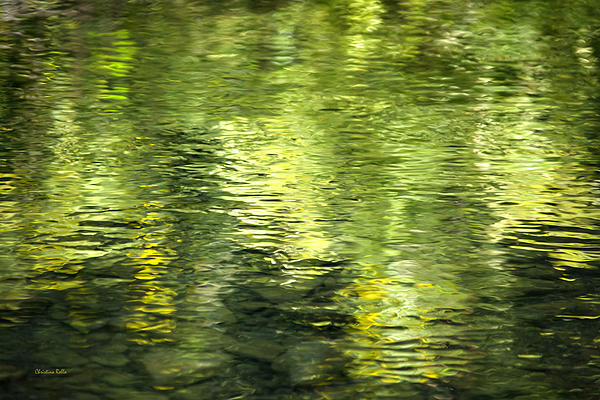 Here’s a colorful green nature abstract, water reflecting light shows unique patterns and design. 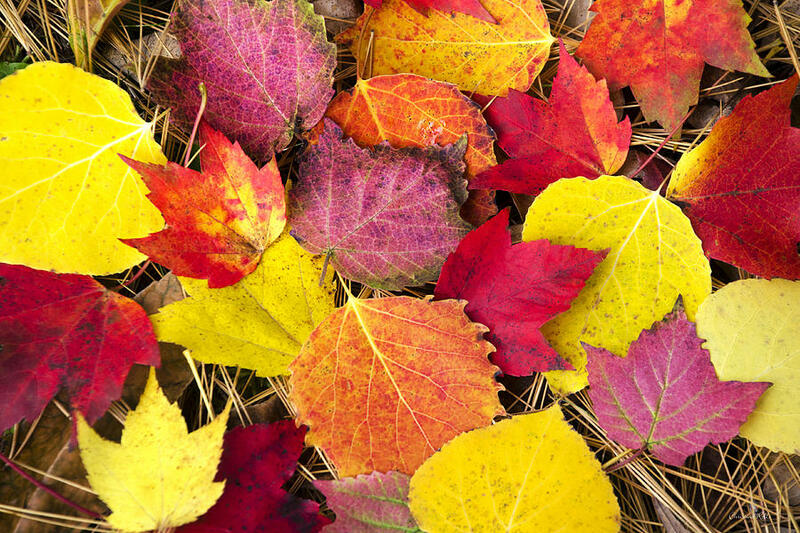 Autumn is nature’s grand finale with a variety of vivid colors. On this day I took advantage of the fresh fallen leaves to create this palette of natural fall colors. Join my e-mail list to receive free updates and special offers. Search: Nature, abstract art, assorted, natural detail, autumn leaves, sunflower, colorful, yellow, pink, green, natural beauty, green abstract, water reflection, flower, seeds, pattern, spiral, framed art, abstract photography, macro photography. I recently finished a new series of flower watercolors. The second one is of beautiful red chrysanthemum flowers blooming in fall. 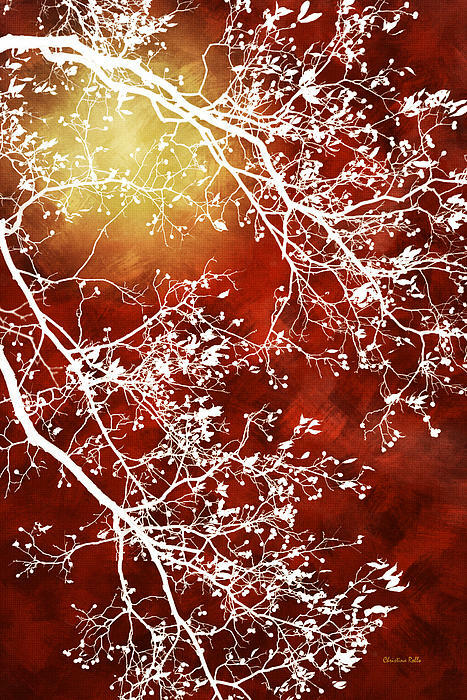 A digital watercolor technique was used to create this artwork from an original photograph. The Chrysanthemum flower is a beautiful garden variety flower. These colorful flowers bloom in fall and can last straight through November. Now you can bring them indoors with my watercolor decor. 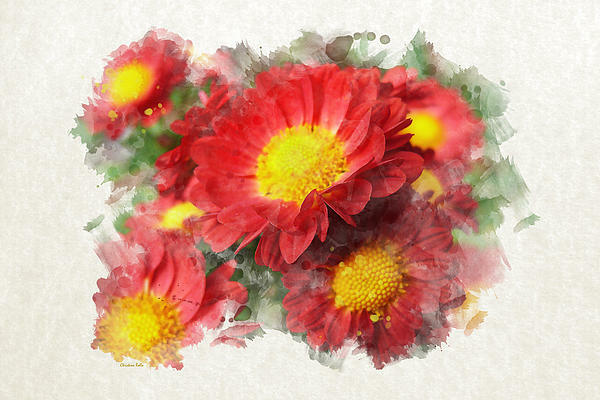 The Chrysanthemum Watercolor Art is one in an on-going series of watercolor art. Come and enjoy my entire collection of watercolors including birds at www.rollosphotos.com. Shop with confidence! Every purchase includes a money-back guarantee. If you’re not happy with a purchase you make for any reason, you can return it within 30 days of the order date. Join my e-mail list, it’s free. Seize the Opportunity to Photograph Hummingbirds! 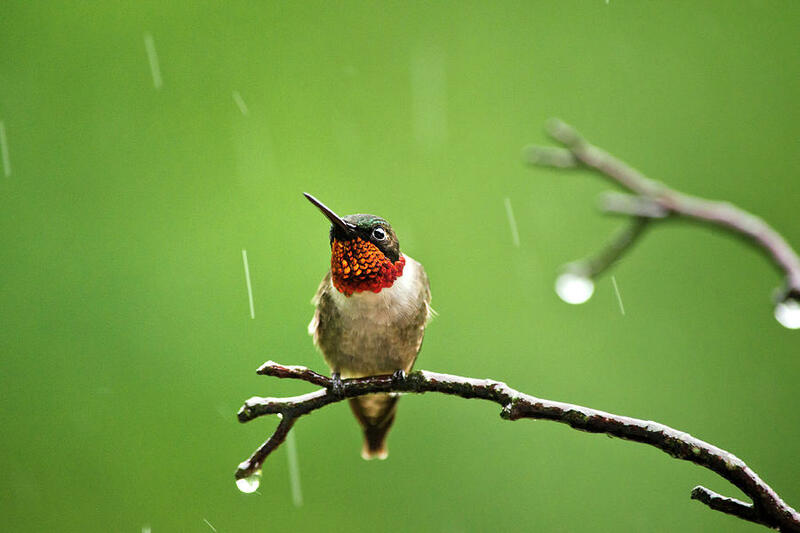 Believe it or not a rainy day is one of the best days to photograph hummingbirds! 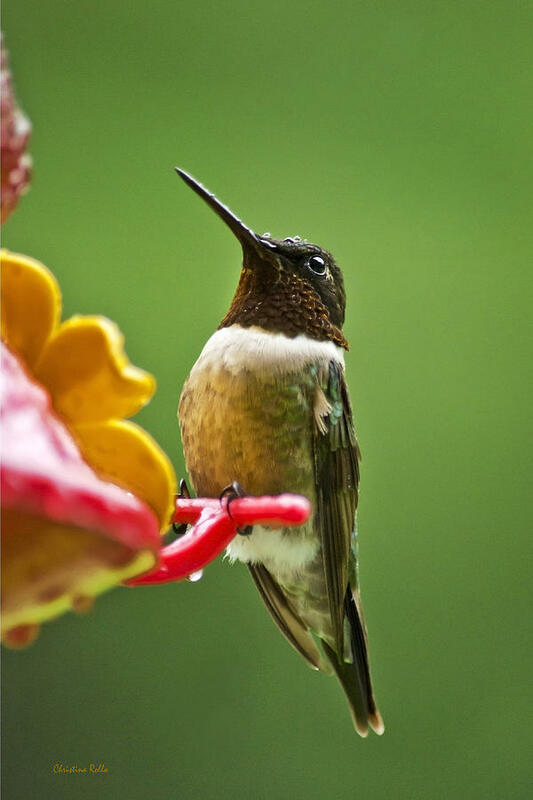 Since most flowers are closed and bugs are scarce during a rain shower and overcast skies, hummingbirds will visit feeders more frequently. Ours visit about once every 10-15 minutes. This feeder hangs from a gutter in front of our kitchen window. Because we have a wide soffit I’m able to keep the window open without getting wet. All I have to do is sit inside and wait patiently for a hummingbird to show up. On an overcast day lighting conditions won’t be perfect so you will need to increase ISO, and if you photograph them while they’re perched on a feeder or branch, there’s no need to worry about shutter speed. Be sure to keep your camera equipment dry while photographing birds in the rain. Photograph through an open window or purchase a rain cover for your camera. What are you waiting for? Make the best of a rainy day, get outside and give it a try! Join my e-mail list, get free updates. Search: nature, outdoors, animals, birds, hummingbird, archilochus colubris, fauna, green, ruby-throated hummingbird, framed art, beauty. I’m pleased to announce a new series of stylish tree art I recently finished. Here are two pieces from the set. Each piece was designed with bold colors to match a rich decor and they are also available as throw pillows and phone cases. Collect one or all four pieces from this colorful set then mix and match accessories! These pieces are sure to be the center of attention in any room. 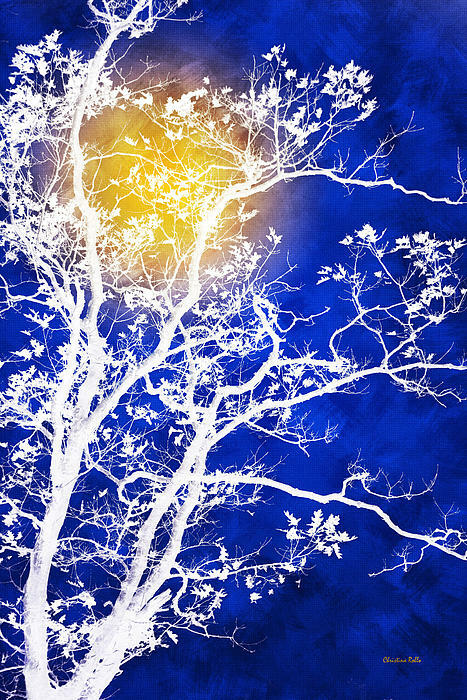 Enjoy more from my series of Artistic Tree Art in my interior designs gallery. Shop with confidence! Every purchase includes a money-back guarantee. If you’re not happy with a purchase you make for any reason, you can return it within 30 days of the order date.